Mangos are one of the richest, juiciest and tastiest fruits in the world and they are seen as a healthy treat by many dog owners. Because of this, there is the assumption that mango must be safe for dogs and a great way of giving them a boost of vitamins and minerals. Can dogs eat mangoes? This guide will look at the question of whether or dogs can eat mango and break it down into key points. Many organisations, such as the ASPCA, will say that mangos are not dangerous and this is often enough for dog owners. The problem is that this oversimplifies the issue. There are some parts of the mango that are safer than others, so it is important to look at the flesh, skin, seeds and pit separately. Can dogs eat the flesh of a mango? The simple answer here is yes, but only in moderation. Mango pieces, sliced and chopped without the skin, are a great treat for dogs, but not something that should become an everyday part of the diet. Some pets may think otherwise, as many dogs grow to really love the taste, but it is best used as an occasional treat. 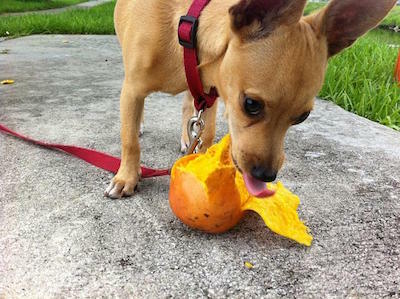 There are some great health benefits to letting dogs eat mango flesh. We all know how healthy mango is for us, with all of those vitamins and minerals that are packed into each bite, and many of these nutrients also have potential benefits for dogs. Vitamin C: this vitamin is often recommended as a way of reducing inflammation and promoting cognitive health. Vitamin A: this vitamin is an essential part of a dog’s diet because it helps to maintain the health of the their eyes, skin and fur. Deficiencies can lead to vision problems and muscle weakness. ​Vitamin B6: this vitamin is essential for nerve health, hormone regulation and protein synthesis. ​Potassium: this mineral helps to regulate the function of the nerves, muscles and enzymes. Antioxidants: many of us are looking to increase our antioxidant counts to prevent disease and this applies to our dogs too. Mangos are high in antioxidants. The problem comes with overconsumption. This is why we say that mango is best given to dogs in moderation only. If dogs eat too much mango they can suffer from digestive issues and diarrhoea. This is because of the high levels of dietary fibre that are found in this fruit. Fibre is necessary for maintaining dog health, but there are limits. Too much can loosen a dog’s stools and cause a bad case of diarrhoea. There are differing opinions on how much mango is too much and it is always best to lean on the side of caution. 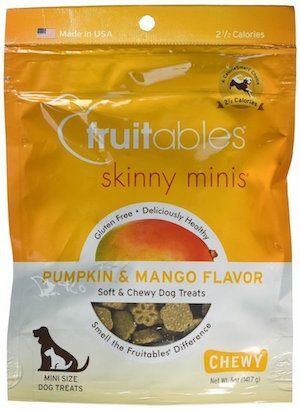 Some feel that one mango a day is fine for large to medium dogs as this shouldn’t pose too much risk of digestive issues, but others may prefer to scale that down and use the fruit as more of a treat. Small toy breeds are the ones that are at most risk from mango because it is too easy to feed them too much and give them digestive problems. A couple of small pieces is plenty here. As long as you start small and keep an eye out for diarrhoea or allergic reactions, you should be safe with these mango pieces. Can dogs eat mango seeds and pits? There are two important things to think about when feeding dogs mango – the portion size and the preparation. Preparing mango pieces properly is just as important for dogs as it is for humans. We don’t want to eat the skin or have to deal with pits and seeds and dogs shouldn’t either. The tough skin is not something that dogs can digest easily. Removing the pit when feeding a mango to a dog is crucial because they can pose a choking hazard, block the digestive trait and secrete nasty chemicals. Seeds are also dangerous when it comes to digestion and choking, but there is the added risk of toxicity. Mango seeds contain cyanide and this can be poisonous for dogs. Realistically, your pet will need to eat a lot of seeds to build up enough cyanide to be lethal. Even so, it is still worth avoiding them. Be careful when preparing the mango if your dog is around. He may instinctively try and eat any seed that fall on the floor. There is also the risk that these seeds, although small, could cause intestinal blockages, leading to discomfort and other medical issues. What should you do if your dog loves the taste of mango but you are worried about giving him fresh fruit? It is safe to give dogs small pieces of well-prepared fresh mango as a treat or a quick vitamin boost, but it is understandable if some cautious owners choose to steer clear of fresh produce. One solution is to look for products that contain mango as an ingredient and take away all the stress of preparation. There are fruit chews that are mango flavour, so pets can have fun gnawing on this treat after a walk and get the same great taste. The nutrient count could vary, however, so if you are turning to mango for the health benefits, you might want to stick with the real thing. Can dogs eat mangoes? What is the final recommendation? The important thing to remember when feeding mango to your dog is to take care and understand the pros and cons of this fruit. There are plenty of health benefits to be gained from giving your dog the right amount of mango, but you need to be careful with the portion size and preparation. Start small, see how your dog reacts to the mango and work from there. If they show signs of digestive issues or allergies, either reduce the portion size or look for another way of providing these nutrients. As long as you avoid feeding them the seeds, pit and skin and avoid overconsumption, you should find that mango is a great option for your dog.